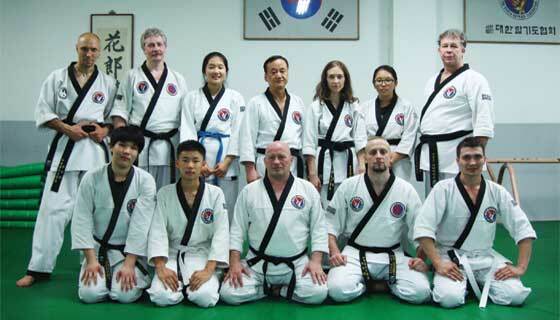 The International Kyung Mu Hapkido Association is headed by Grandmaster Kim, Nam Jai (9th Dan). 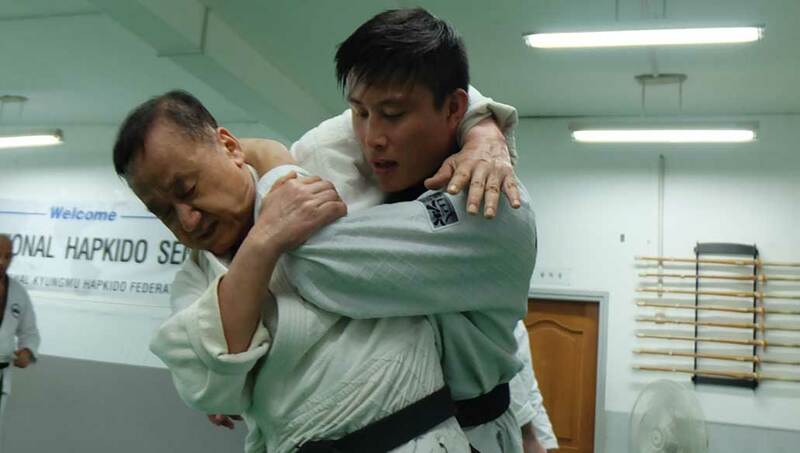 Grandmaster Kim is one of the few second generation Hapkido Grandmasters actively teaching in Korea today. 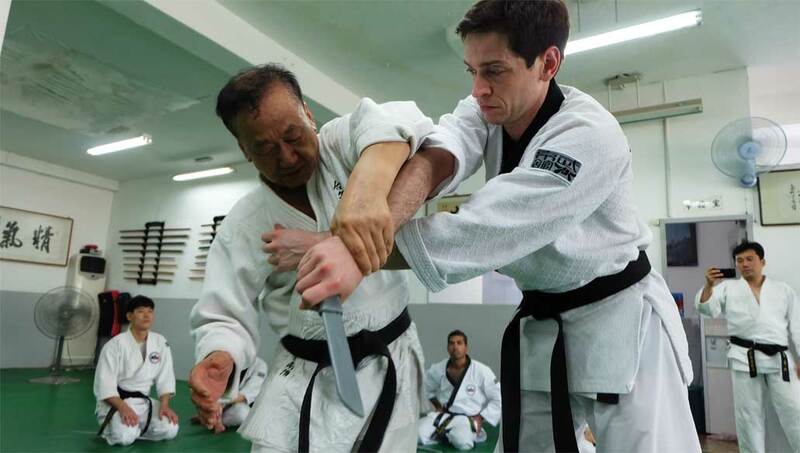 He served for many years as the chief instructor for the Korea Hapkido Federation instructor’s program. The Kyung Mu Kwan is one of Seoul’s oldest Hapkido dojangs (schools), and a highly reputable Hapkido family in Korea Hapkido lineage. We have affiliate martial arts schools in Toronto Canada, Spain, Ukraine, Russia, and the United States. We are a traditional Hapkido family committed to offering authentic, practical, and progressive martial arts skill at the highest level. Over the past 50 years the Kyung Mu brand has been distinguished for its approach to the simplicity and power of the art of Hapkido. 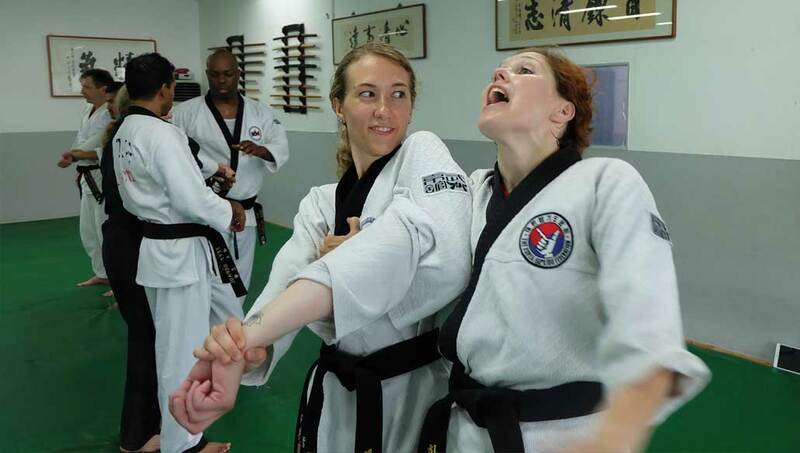 Our growing family has affiliates all over the world, and we provide opportunities for martial artists looking to improve their knowledge, insight, and skill in this beautify Korean Martial Art. 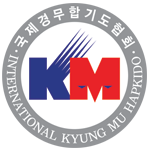 Interested in Kyung Mu Hapkido? The Kyung Mu system is rooted in functional Hapkido applications while staying true to traditional principles. We proudly offer progressive training methods with a traditional approach that goes beyond aesthetics and demonstration moves. Our goal is to offer an umbrella for the preservation and progress of authentic Korean Hapkido teachings. While we welcome Hapkido practitioners everywhere, KM Hapkido is not about offering belt ranks or selling accreditation. 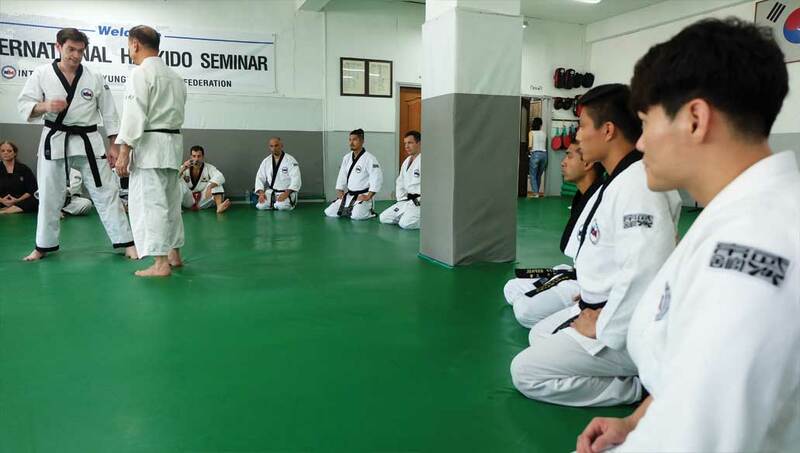 Hapkido brings us all together. We invite you to be a part of our extended Martial Arts family. We have affiliates around the globe, regular seminar training opportunites, and virtual learning through media technology. KM Hapkido offers opportunities of continued education for all Hapkido practitioners at all levels of training. Level training is available forNon-hapkido practitioners, color belt ranks black belts, master level, and affiliate instrutors.